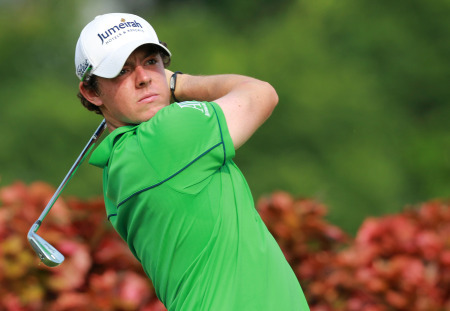 Soccer fan Rory McIlroy has made headlines worldwide without hitting a shot. His tweet calling Barcelona full back Danny Alves “a disgrace” was used on Real Madrid’s official website as part of the Spanish club’s escalating war with their archrivals following Wednesday’s painful 2-0 home loss in the Champions League semi-finals. 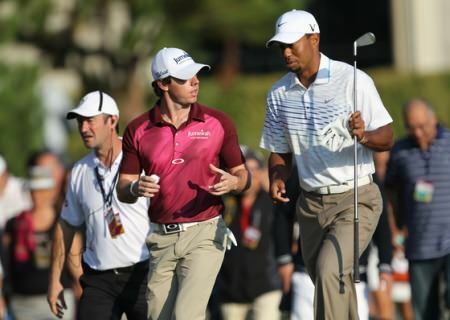 But the Ulsterman, who announced that he has installed a 5-a-side soccer pitch at his bachelor pad near Belfast, also made the news for his golf as it was confirmed that he will overtake Tiger Woods in the world rankings for the first time when they are updated on Monday. Both players are taking this week off but McIlroy, who will be 22 next Wednesday, will edge ahead of the former world No 1 by a mere 0.0037 average points. Depending on results, the Holywood native could go from seventh to sixth before he arrives in Charlotte to defend next week’s Wells Fargo Championship. 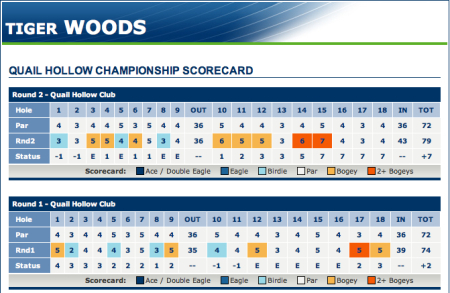 Woods, on the other hand, pulled out of Quail Hollow due to knee and achilles injuries he picked up at Augusta National and will continue his slide down the rankings if he also misses the Players Championship at Sawgrass next month. The 35-year old would be welcomed with open arms in Jacksonville, but McIlroy might want to avoid Barcelona for a while. Real Madrid’s official website used tweets by McIlroy, Rio Ferdinand and Michael Owen to add weight to their claims that Barcelona engaged in “unsportsmanlike conduct” (diving, simulation, referee intimidation) during Wednesday night’s controversial 2-0 home defeat in the Champions League semi-final. The Spanish giants released a video yesterday, claiming that that Pepe should never have been red-carded as he never even touched Alves. The Portugal defender was sent off in the second half for a high challenge on Barca’s right-back, but the nine-time European champions claim that Pepe did not make contact with the Brazilian’s leg. The tweets were published under the headline, “The sports world cries out” with McIlroy, a huge Manchester United fan, severely critical of the Brazilian after he writhed in agony following Pepe’s challenge. Alves was carried off the pitch on a stretcher but then sprinted back into the fray once Pepe had been given his marching orders by the German referee. Alves and winger Pedro were the target of two Ferdinand tweets, which could make things interesing if Barcelona and Manchester United make next month’s final at Wembley. Ferninand later congratulated former United team mate Gerard Pique after two wonder goals by Lionel Messi gave Barcelona the win. 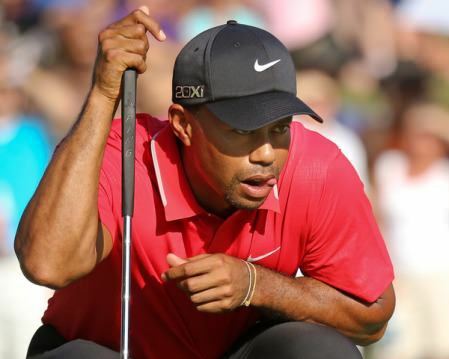 World number one Tiger Woods didn’t just miss the cut in the Quail Hollow Championship by adding a 79 to his opening 74 - he positively imploded. He’s certainly no robot. There were no nuts and bolts all over North Carolina, just a shattered human being who finally hit the wall. Woods missed just the sixth cut of a 14-year professional career when his game shuddered to a halt after an opening birdie and then completely fell apart on the back nine as he came home in seven over in the most alarmingly fashion. He’s had bad days before but what was surprising was the way he appeared to simply throw in the towel when it became obvious that surviving for the weekend with a broken swing was mission impossible. Tiger Woods en route to his 78th PGA Tour win. 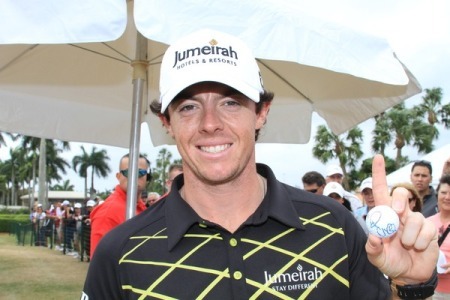 Photo: Kenneth E.Dennis / kendennisphoto.comRory McIlroy had a 4.72 point lead over world No 3 Tiger Woods at the top of the world rankings when he captured the DP World Tour Championhip for the fifth win of his sensational 2012 campaign.